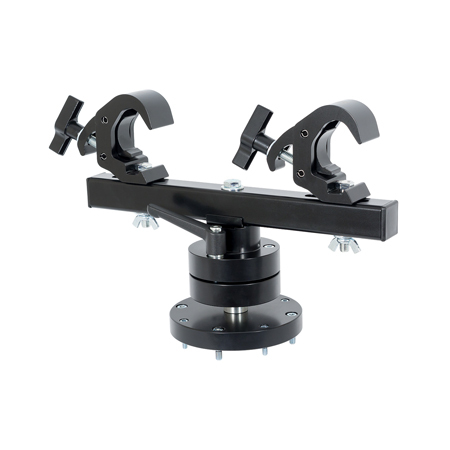 The Atom Grip 295 Duo swivel head by Rigtec is particularly durable due to two clamps and can be mounted flexibly on the rental frame, the adapter plate or the portrait adapter by Rigtec as well as on the Barco UDX projector frame. This provides an extremely practical solution for rigging projectors. Please note that the Rigtec flight accessories are delivered with the rented projector and cannot be rented separately.